RIO DE JANEIRO -- In the early weeks of Angelica Pereira's pregnancy, a mosquito bite began bothering her. At first it seemed a small thing. But the next day she awoke with a rash, a headache, a fever and a burning in her eyes. The symptoms disappeared within four days, but she fears the virus has left lasting consequences. Pereira's daughter Luiza was born in October with a head more than an inch (3 centimeters) below the range defined as healthy by doctors, a rare condition known as microcephaly that often results in mental retardation. A neurologist soon gave Pereira and her husband more bad news: The brain damage had caused cerebral palsy. "My heart stopped. All I kept thinking about was all the struggles and discrimination my baby will suffer," said Pereira, a 20-year-old seamstress who lives in Santa Cruz do Capibaribe, a small, garment-manufacturing city in northeast Brazil. Brazil alone estimates it's already had between 440,000 and 1.3 million cases of Zika since the first local transmission of the virus was detected in May. The mosquito-borne disease was first identified in the Americas less than two years ago and has spread rapidly across South and Central America. "We are looking at the beginning of an epidemic in a country that has in between 200,000 and 300,000 births per year, which shows how worried we are. It's a virus we don't know that much about," said Rodrigo Stabeli, vice president of the Rio de Janeiro-based Fiocruz research institute. "We are preparing for the unknown." Brazilians are so concerned that some obstetricians, such as Helga Monaco at Sao Paulo's Samaritano Hospital, recommend women avoid becoming pregnant during the rainy season when mosquitoes are most prevalent. "All the women I see at the hospital or in my office who are pregnant or wanting to get pregnant are very alarmed, almost panicky," she said. The Zika virus, first detected in humans about 40 years ago in Uganda, has long seen as a less-painful cousin to dengue and chikunguya, which are spread by the same Aedes mosquito. Until a few months ago, investigators had no reported evidence it might be related to microcephaly. Suspicion arose after officials recorded 17 cases of central nervous system malformations among fetuses and newborns after a Zika outbreak began last year in French Polynesia, according to the European Center for Disease Prevention and Control. And in November, Brazilian researchers reported the Zika virus genome had been found in amniotic fluid samples from two women whose fetuses were been diagnosed with microcephaly by ultrasound exams. Brazil announced on Nov. 28 that researchers had found the Zika virus present in brain tissue of a newborn with microcephaly who died. 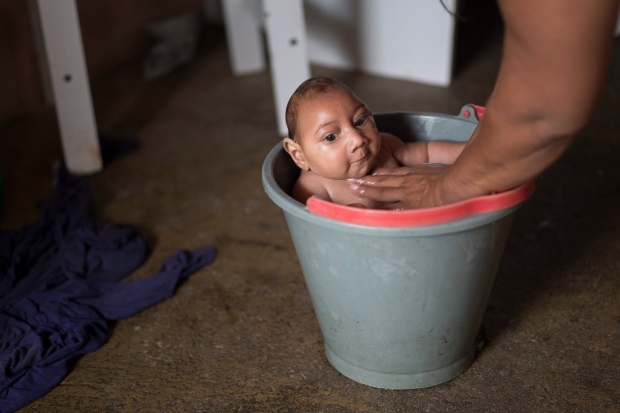 As more evidence arose from further Brazilian tests, PAHO and the World Health Organization recently urged officials in the Americas to watch for possible neurological problems or congenital malformations elsewhere related to cases of Zika. While there's never before been a detected link between the virus and microcephaly, "there has never been an epidemic of Zika in the proportions that we are looking at now in Brazil," said Pedro Fernando Vasconcelos, a researcher at Evandro Chagas Institute who found the virus in the newborn child. International health officials say the link isn't yet proven. A recent message from the U.S. Centers for Disease Control and Prevention said "the association of Zika virus infection and microcephaly and is still under investigation" and added, "It will take time to determine the cause of the microcephaly for the cases being reported in Brazil." It noted there are numerous causes of microcephaly, including genetic abnormalities, infections or exposure to toxic substances during pregnancy. "One shouldn't just jump to the conclusion that just because it's associated, it is causing it," said Sanjaya Senanayake, an associate professor of infectious diseases at the Australian National University who has studied the virus for decades. "At the end of the day, it certainly could cause it," he said. 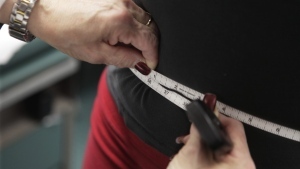 "But they need to run more epidemiology studies looking at various groups of pregnant women." Brazilian officials aren't waiting. Claudio Maierovitch, the director of Brazil's equivalent of the CDC, told a news conference on Tuesday "there is no doubt that the majority of the microcephaly cases (in Brazil) are related to the Zika virus." The Health Ministry announced it would send an army of 266,000 people to inspect every house, farm and business in the country and warn about the risks of Zika. There are no known cases of infection by the Zika virus in the United States, though it has been seen in returning travelers. Chile, Colombia, Panama, El Salvador, Guatemala, Mexico, Paraguay, Suriname and Venezuela have reported cases of Zika, but have found no indication of corresponding birth defects, according to the Pan American Health Organization.